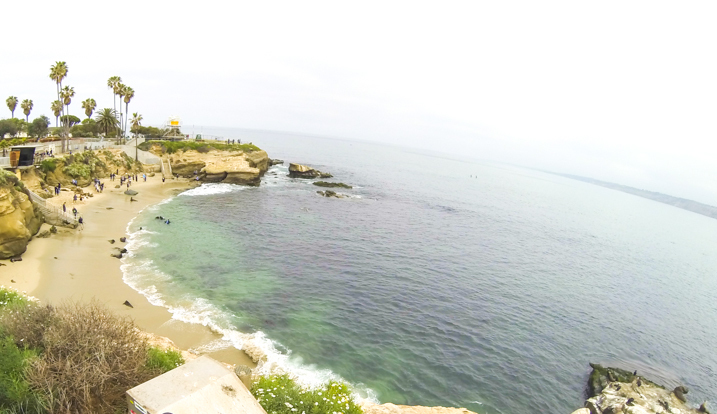 Join our guided tours scuba diving in La Jolla Cove. A two tank dive exploring the giant kelp forest and beautiful reefs is a great way to start the day! This protected marine area is teeming with fish, seals and sea lions. Dive 1: Giant Kelp Forest. You will descend into a wonderland of underwater life. Sunlight beams through the lush kelp forest creating spectacular views. This location is a great spot to get photos with lobster, crabs and beautiful schools of fish. Enjoy seasonal visitors like giant sunfish and migrating whales. Keep an eye out for dolphins, rays and even some sharks. Explore the area below the cliffs of La Jolla. Here is where sea lions love to play. This dive is your chance to share the ocean with these curious creatures as well as lots of colorful fish. Check out our year-round snorkeling tours and the best spots to snorkel and scuba dive in La Jolla.